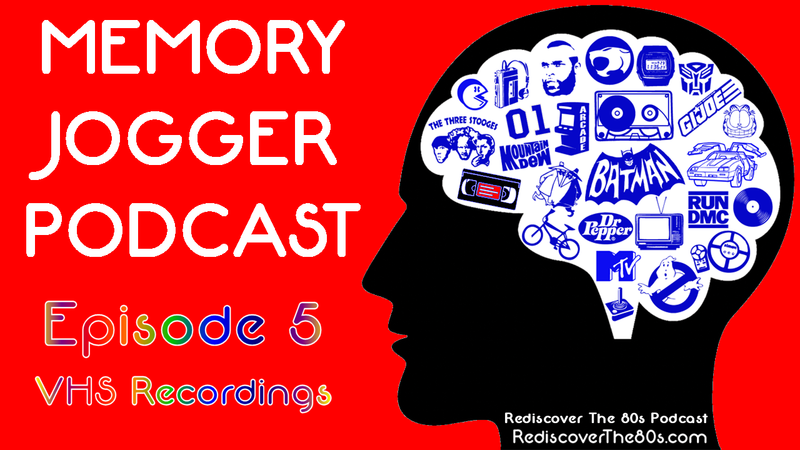 In episode 5 of the Memory Jogger Podcast, Jason & Wyatt discuss their VHS Recordings through the years after digging through their actual libraries. We talk about our first interactions with a VCR up through the last shows/movies we remember taping. After listening to the show, interact with us in the comments below and we'll follow up on our next show.